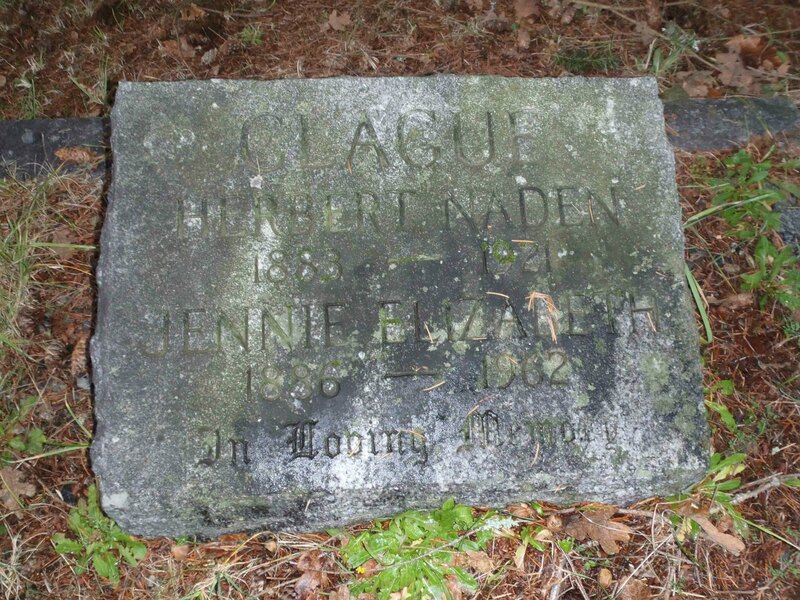 Herbert Naden Clague (died December 1921, aged 38) – Temple Lodge, No.33, Duncan, B.C. We are currently doing more research on Brother Herbert Naden Clague (died 20 December 1921, aged 38). We know he was a land surveyor and that Allan Robert Bell, one of the four Temple Lodge, No. 33 members killed in action in World War 1, apprenticed with Brother Clague prior to going overseas with the Canadian military. We will add more information as we uncover it. “Clague – The funeral of the late Mr. H.N. Clague, B.C.L.S., took place last Thursday afternoon from the Masonic Temple, Duncan, to St. Peter’s Quamichan, where a large number had gathered to pay their last tribute to one who was admired and respected throughout the district. The service in the church was taken by the Rev. F.L. Stephenson, rector, and the Rev. F.G. Christmas. “Nearer, My God, To Thee,” was the hymn sung. At the graveside the Rev. Arthur Bischlager, vicar of Duncan, officiated. Following the church services the Masonic ritual took place, Wor. Bro. A.H. Peterson, W.M., and Wor. Bro. H.F. Prevost, C., conducting the obsequies. A large number of Masons attended, the pallbearers being chosen from Temple Lodge, No. 33, A.F. & A.M., of which the deceased was an officer. They were Wor. Bros. K.F. Duncan, T. Pitt and J. Grieg and Bros. C.H. Dickie, J.G. Somerville and F.J. Norie. There were many floral tributes, including remembrances from the public bodies with which the late Mr. Clague was connected. In England and throughout this province Mr. Clague was known as good surveyor and engineer and a neat and expeditious draughtsman. Those who worked for and with him can testify to his many sterling qualities. As a most conscientious and hard working chairman of the public works committee of the Duncan Board of Trade for three years past, Mr. Clague conferred many benefits on residents all over the district. His loss to his confreres is indeed grievous. At the time of his death he was a representative of the City of Duncan on the Consolidated School Board. He was a member of the Cowichan Country club. No movement for the advancement of this district failed to find in him a ready response to the call for service. 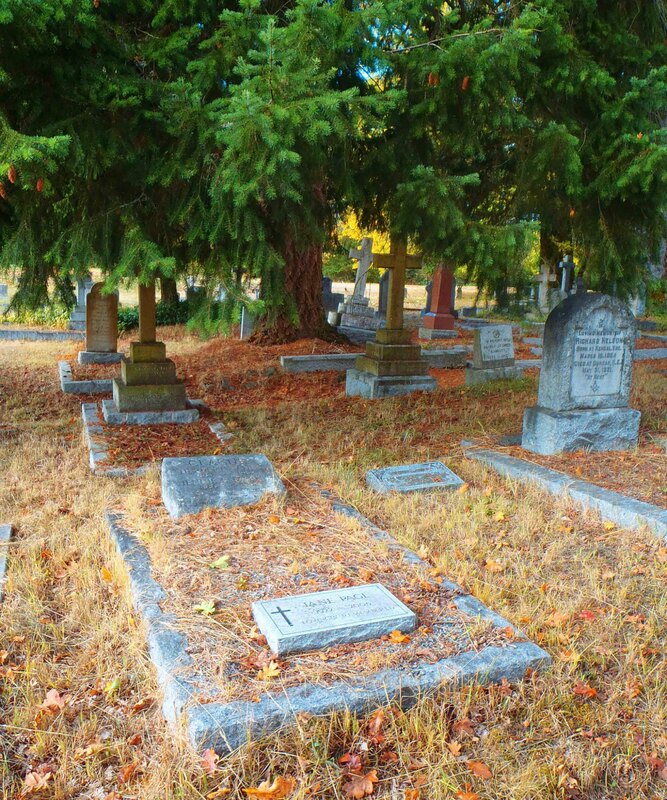 Herbert Naden Clague grave marker, St. Peter’s Quamichan cemetery, Duncan, B.C.